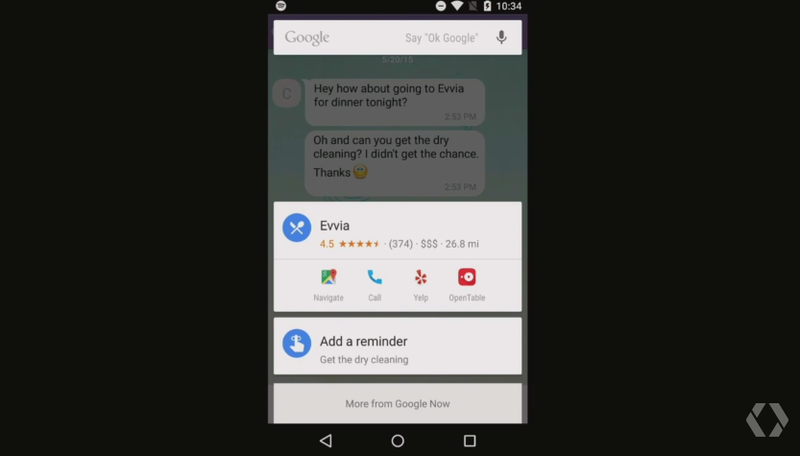 Google has just unveiled ‘Now on Tap’ feature for Google Now. 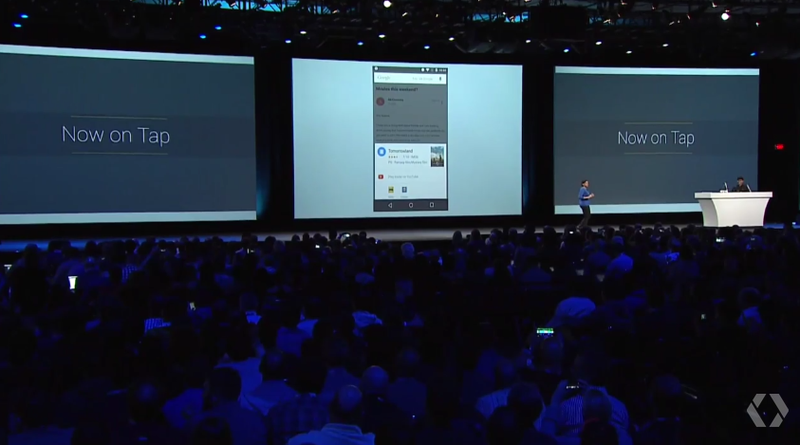 The feature will only be available to devices running Android M, which will be released later this year. One example of Now on Tap is when you receive an email from a friend asking you about watching Tomorrowland this weekend. 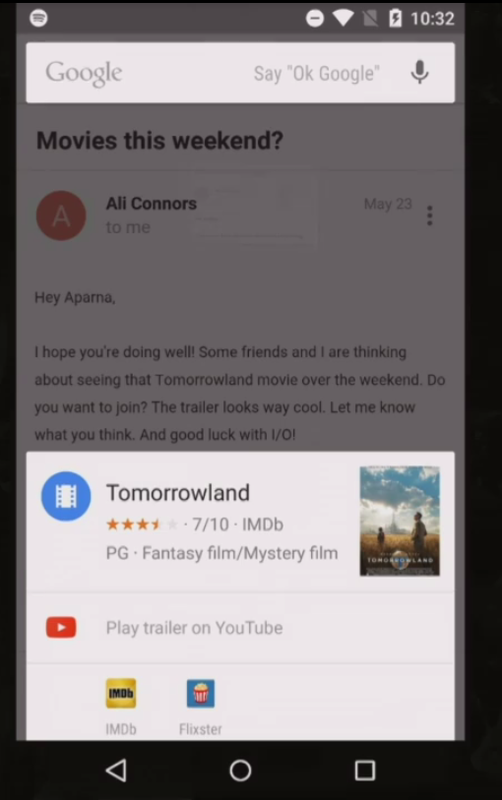 With the email open, users can long press the home button to get a relevant card with relevant actions in relation to the context, which in this case is a Now card containing details about the movie, a link to its trailer and more. The feature is not just limited to emails, and works across a variety of apps. Users can also long press on an image for a Now card to come up on the screen containing details about the subject in the image. No app modifications will be needed on the developers' side, so many things on M should work with On Tap out of the box. We should learn more about Now on Tap in the coming months, but it seems mighty impressive so far.